Maeva! Welcome! Tahiti and her Islands names evoke wonderful states of mind: seduction, honeymoons, romance, adventure and escape… You have probably dreamt about these marvelous, imaginary, fertile worlds of sun-drenched landscapes that suddenly appear right before your eyes upon exiting your airplane? 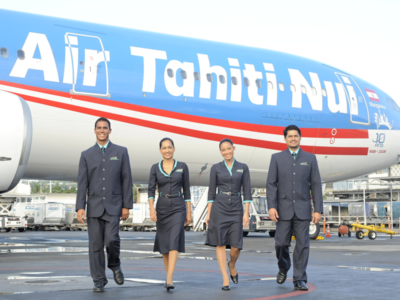 Inter-island flights: Air Tahiti airline company provides about 200 flights per week from islands of French Polynesia and the main airport of Tahiti-Faa’a. 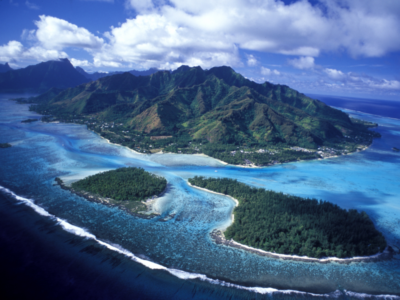 Tahiti is the beating heart of French Polynesia. It is both the gate to the country with Tahiti Faa’a airport and the administrative center of Papeete, the capital and economic lung of the country with its harbor, its businesses and shops.Downtown, Papeete’s market is a must see for anyone visiting the capital island. It features a wide range of the archipelago’s production, from local fish to a rich selection of handicrafts. Yet Tahiti is so much more than Papeete: majestic valleys falling into the arms of the lagoon, rich, restored archeological sites, the Aorai and Orohena, two sharp-peaked volcanic mountains. It also is a big island with an infinite choice of activities. The city offers many diversions and some of the great hotels organize magnificent traditional dance shows that should not be missed. Tahiti iti, the peninsula, holds some of the most beautiful hiking trails in Polynesia; particularly the hike to the Te Pari, a splendid and totally untouched site, and of course Teahupoo, one of the best surf spots in the world. Varied culinary styles: taste the local flavor of the traditional Tahitian oven at the generous buffets organized by the great hotels. Beyond this famous “ahima’a”, the country’s cuisine mirrors Tahiti: colorful and mixed, with Chinese, Italian, French influences, fast food of food vans, those very welcoming and convenient mobile restaurants. Moorea, the Magical IslandA few minutes from the island of Tahiti by plane, and only thirty minutes by high-speed catamaran, Moorea soars magically out of the ocean in an explosion of green velvet – what you would imagine a South Seas island to be.Captain Cook’s island has one of the most beautiful lagoons in the Pacific. Its turquoise waters reflect the sumptuous harmony of the underwater world where divers might meet turtles, leopard rays or even some scorpion fish amidst coral roses hosting many other species. Also, a multitude of white sandy beaches, the diversity of the underwater coral and the richness of its marine fauna make it a preferential destination. A wide, shallow lagoon surrounds the island’s vertical mountains where poetic threads of waterfalls tumble down fern-softened cliffs. Peaceful meadows flanked by pinnacles of green will fill your senses and renew your belief in the majesty of nature. Pastel-painted houses surrounded by gardens of hibiscus and birds of paradise, circle the island in a fantasy of happy, yet simple villages.A favorite among repeat visitors who all agree: the beauty of Moorea is unforgettable…Aimeo I Te Rara Varu, the island’s poetic name, comes from the eight majestic mountain ridges; however, the name was later changed to Moorea-meaning “Yellow lizard”- following a dream by a high priest. 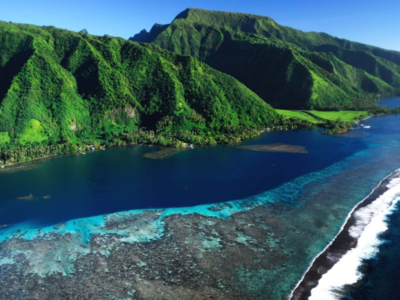 Polynesian legend describes the panorama of volcanic ridges as the second dorsal fin of the fish that became the island of Tahiti. 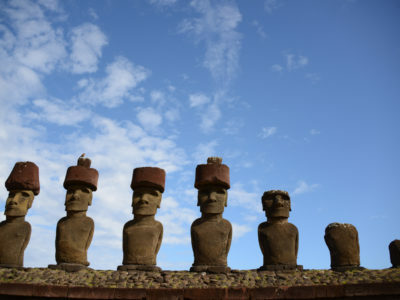 These pinnacles later inspired the mythical “Bali Hai” that was based on James Michener’s book, Tales of the South Pacific. Polynesian Experiences offer rare interactions with local artists who have dedicated their lives to following in the footsteps of their ancestors. Deeply rooted in mythical origins, Polynesians possess an extensive past filled with tales of epic legends, recounts of famous navigators, cultural practices and art forms passed down from generation to generation.